Caroline's Chalet is an authentic Log Home on 2 acres of Pine and Aspen trees with 2 Bd., 1.5 ba. that can sleep 2-4 persons. This cabin is under new ownership of Audrey and Milton who love the cabin, have renamed it Sisters Dream Inn, and is under the management of Sisters Vacation Rentals Inc. Nestled at the base of the majestic Cascade Mountains, in Sisters, Oregon, Caroline's Chalet is the ideal destination for couples or small families who desire to be away from busy cities, but close to small town amenities. The chalet has comfortable seating inside with an open living room and floor to ceiling lava rock fireplace, or outside on the covered porch or sunny patio. This two story log Chalet is also the perfect base-camp for those seeking Alpine adventure! 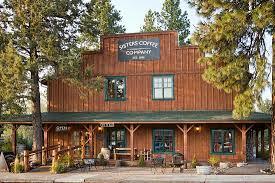 Deschutes National Forest is across the street. All Rocking CR Vacation Rentals offer ultra plush beds with luxurious linens, down comforters, colorful cotton quilts, cable TV, internet, wifi, and fully equipped kitchen stocked with all kitchen ware, wine glasses, cocktail glasses, dishes, pots and pans, bake ware, cloth napkins, table cloths. There are basic spices in the pantry and a full-sized refrigerator. All bathrooms include plush towel sets, shampoo and conditioner, moisturizing lotion, body wash and hair dryer. Clothes washer and dryer as well as a clothes iron are also provided. There is a gas grill for BBQ. As pet owners ourselves, Rocking CR Vacation Rental Homes are pet friendly. Please call regarding fees. Classic Log Cabin at the base of the Cascade Mountains! 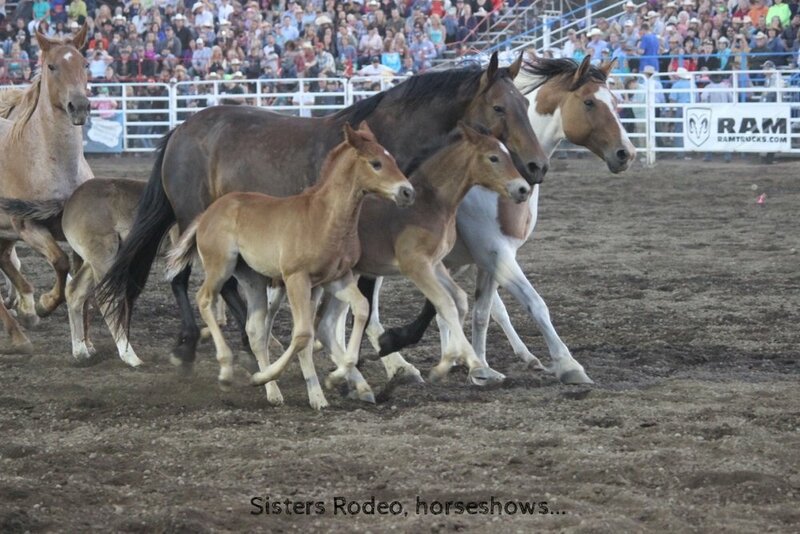 The charming town of Sisters is noted for its varied events and festivals such as the Sisters Folk Festival, the world famous Sisters Quilt Show, and Sisters Rodeo, "The Biggest Little Rodeo Show in the World". Known as "The Gateway to the Cascades", Sisters is the perfect location to begin your exploration of the Three Sisters peaks and the high country of the Cascades. Premiere road cycling and mountain biking are minutes away. Into fly fishing? 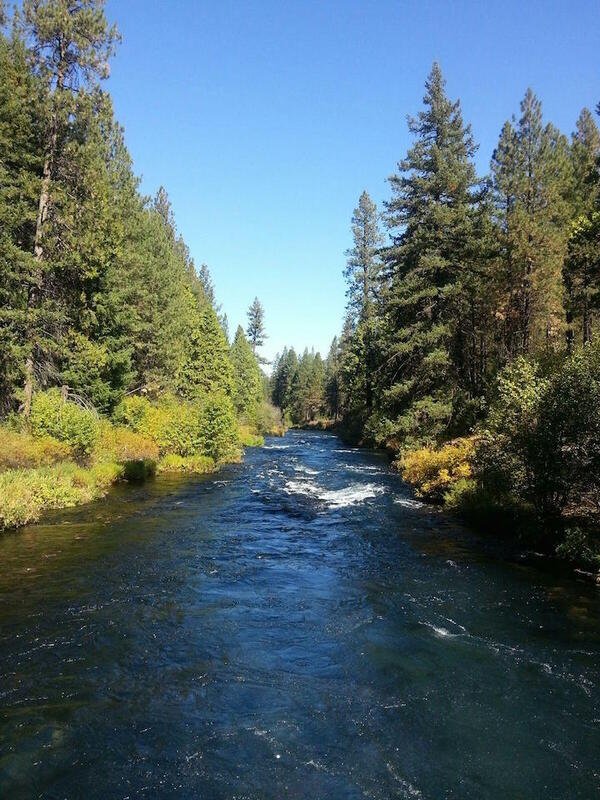 The Metolius River offers world-class trout fishing, as well as unparalleled scenic beauty and relaxation. Bring your clubs and golf at the nationally recognized, Aspen and Eagle Lakes Golf Course, or Black Butte Ranch. Swim at Camp Sherman, only 15 minutes away, and dip into pools in a bucolic mountain setting, or bring a picnic. Best of all, meet the friendly faces of the local community…at the events and festivals, and at the museums, restaurants, brew pubs, and boutiques. This is the enchanted area of explorers Lewis and Clark offering miles and miles of rivers, lakes, forest, and stunning mountain peaks. The Chalet is 20 minutes to HooDoo ski resort, just 30 minutes west of Bend, and only an hour to Mt. Bachelor, as well as miles and miles of back-country or cross country skiing and snowmobiling within 10 minutes of the cabin!